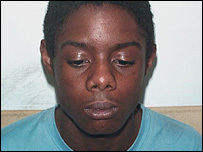 Teenagers Danny and Rickie Preddie have been found guilty of killing 10-year-old Damilola Taylor in Peckham, south London. The Preddie brothers had a string of convictions behind them when they appeared before the Old Bailey charged with Damilola's manslaughter. 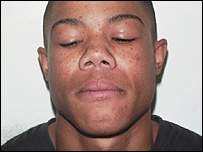 A policeman who worked in Peckham at the time of the schoolboy's November 2000 death described Danny, 18, and Rickie Preddie, 19, as "the scum of the earth". "Whenever there was a robbery, one or other of the Preddies was involved," he said. Brought up by their single mother in Peckham, they were members of the Young Peckham Boys street gang, which terrorised the North Peckham Estate at the time of Damilola's death. Both the Preddie brothers were in custody for unrelated offences when they were arrested last year in connection with Damilola's killing. Danny Preddie had been sentenced to three years detention at Inner London Crown Court last March for conspiracy to commit robbery. He was part of a "steaming gang" that threatened and robbed rail passengers. Danny had threatened to cut one victim in the face before stealing £5, while another passenger had a knife pushed towards his stomach as his mobile phone and £15 were stolen by the gang. In November 2000, Danny was kept on bail at a children's home as he awaited five prosecutions, including three for assault. Five months earlier he had attacked a 13-year-old boy with a baseball bat in an attempted robbery. Last year, Rickie Preddie had been serving 12 months detention for driving whilst disqualified, assault and other offences. In September 1999, he was prosecuted for having a knife and in 2000 he was placed on bail while facing several charges of theft. In December 2002, Rickie was prosecuted after throwing a bottle at another youth. 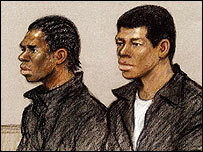 The Preddie brothers had appeared at the Old Bailey a few months before Damilola's death, charged with the indecent assault of two girls aged 10 and 12 in a park in 1999. The judge threw out that case because it should have been dealt with by a youth court.